Absolute Value Distance of a number from zero on a number line. Since distance is always positive, the absolute value of any number must be positive. Caution: be careful when taking the absolute value of a variable, since you may have several possible correct solutions. When you add zero to anything it does not change the value. Common means shared or the same, so adjacent angles share one side and the vertex. Adjacent arcs Two arcs in the same circle that have exactly one point in common. Adjacent means "touching", so the two curves are touching, but do not overlap. Algebra The study of equations using variables. At many schools, the study of algebra is broken into Algebra 1 and Algebra 2. For many schools using Common Core Standards, these are included in a multi-year integrated or connected math series. 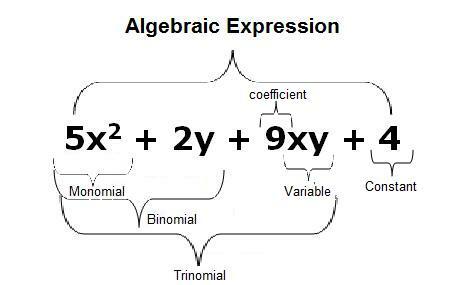 Algebraic expression A collection of letters (variables) and real numbers (constants) combined using the operations of addition, subtraction, multiplication, division, and exponents. 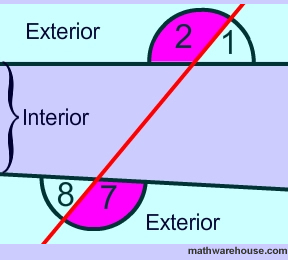 In this picture, angles 1 and 8 are alternate exterios angles. 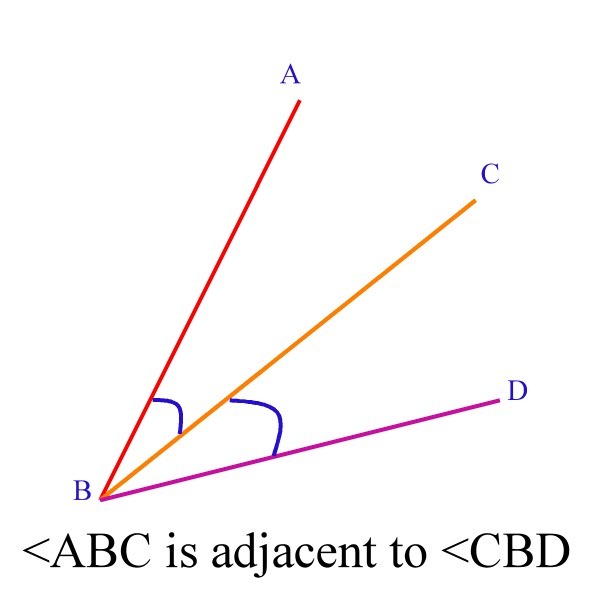 Angles 2 and 7 are also alternate exterior angles. The red line is the transversal - the line that cuts. Angle The shape formed by two rays (called sides of the angle) with the same endpoint (called the vertex of the angle). When naming an angle, start with a point one one side, put the vert5x in the middle, and finish with a point on the other side. The origin is the (0,0) point where the x and y axis cross. 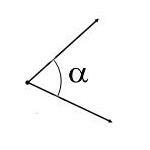 Apothem A line segment that is drawn from the center of a regular polygon perpendicular to one side of the polygon. A regular polygon is a shape where all sides and all angles are equal. Arc Part of a circle Exactly half the circle is called a semicircle. 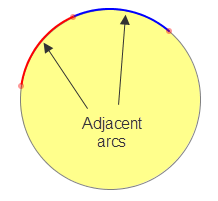 Less than half is a minor arc and more than half is a major arc. Because you add 3 and 8 to get 11. Then, because you have two numbers you divide that answer by two - 11 divided by 2 is 11.
because 4 - 1 = 3, and 7 - 4 = 3, and 10 - 7 = 3 and so on. In a sequence, the ... at the end means the pattern keeps going forever. Asymptote A line the graph of a function gets close to but never gets exactly there. In the example, this shape is called a hyperbola. also the vertical line containing the vertex of a parabola. When you fold a graph on the axis of symmetry, both sides match.